Engineering and construction company Ergon Savvidis, with continuous operation since 1999, carries out constructions, reconstructions and renovations in residencies and professional spaces. 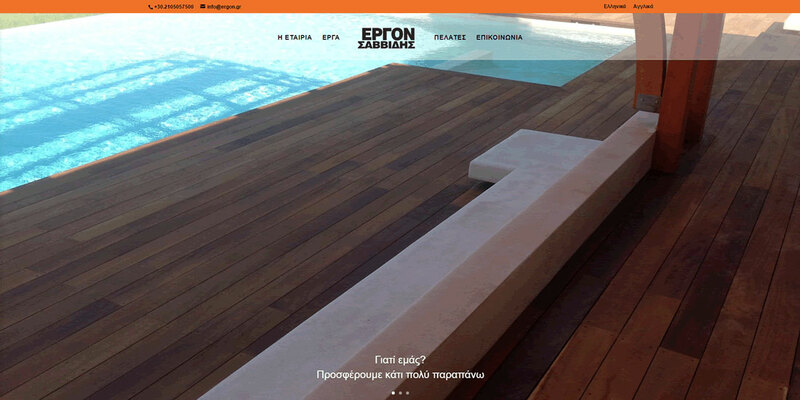 We completed the development of the corporate website ergon.gr according to the instructions of our customer, focusing on the promotion of the projects and services offered by the company. The project was realized using WordPress.